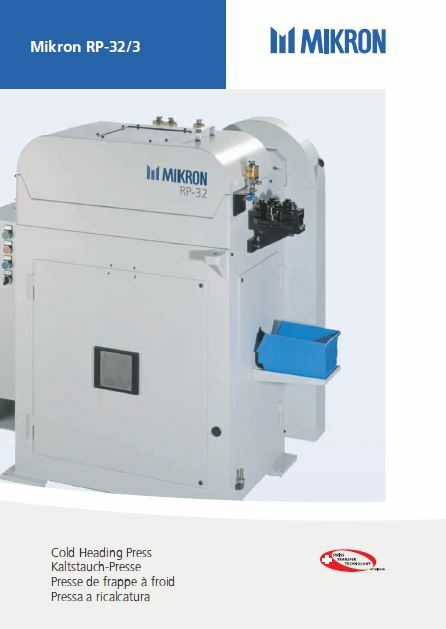 Mikron machining systems are designed to produce precision workpieces directly from wire coil or bar stock. 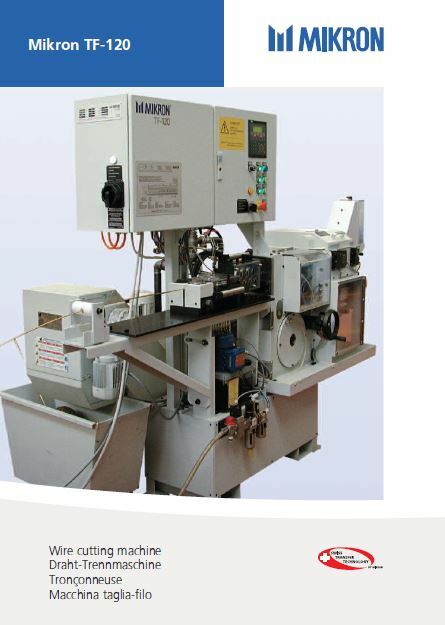 However, it is often expedient to manufacture small blanks on Mikron wire processing machines to achieve a higher output rate on the transfer machines in the downstream process. The machine for cost-effective straight shearing of wire with diameters up to 3 mm for steel, or 5 mm for aluminium and brass. 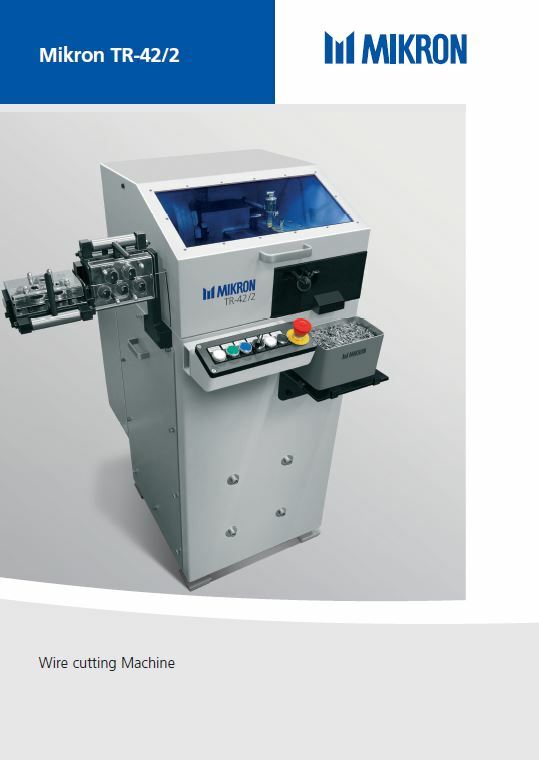 The machine for cost-effective straight shearing of wire with diameters up to 4.5 mm for steel, or 6 mm for aluminium and brass. As a single stroke cold header, the RP-32/3 is best suited for small, simple parts. 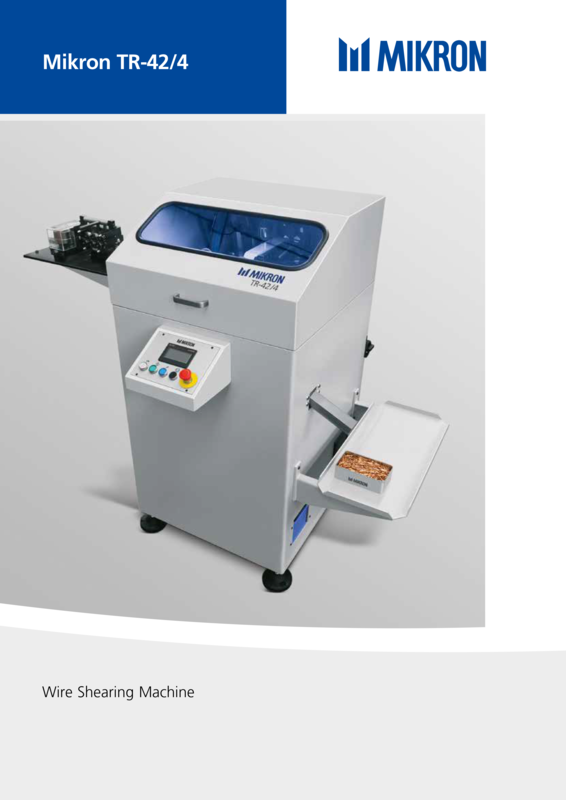 The automatic die centering device ensures precise coaxial alignment of the various diameters. The maximum wire diameter is 3 mm for brass and 4 mm for aluminium. High production straight shearing of wire at up to 200 pieces/minute. Maximum wire diameter is 11 mm for brass and 7 mm for steel. The TF-120 can be combined with the Mikron Multistar for direct loading of the premachined pieces.